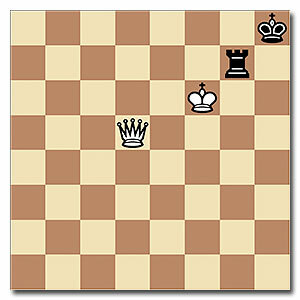 Do-or-Die Chess Puzzle: Can White Survive? 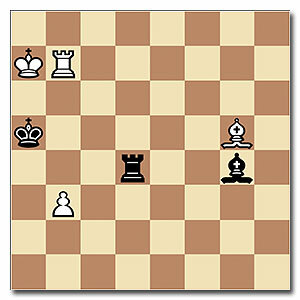 White is in a bind in this chess position. Can White really survive here – with a draw or a win? 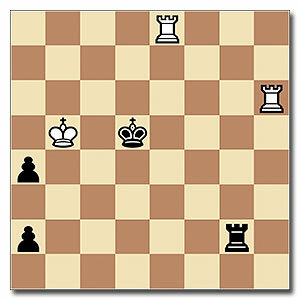 This position is brought to you by www.chesskillertips.co the #1 chess video podcast library. You will find the answer in a video hosted by Chess Queen™ Alexandra Kosteniuk. From the Book of Stamma, 1737. Sit back and enjoy this video chess podcast by #1 www.chesskillertips.com. It is hosted by Chess Queen™ 12th Women’s Chess Champion Alexandra Kosteniuk. Beautiful Chess Study: What Should White do? 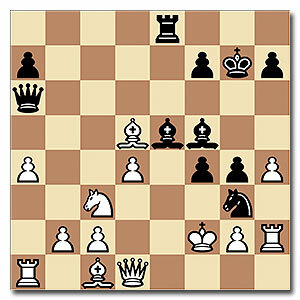 Here is a beautiful chess study from the award-winning database of podcasts – Chess Killer Tips. 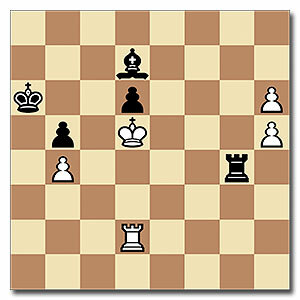 LEVEL: Intermediate CATEGORY: Study Should White resign or play on? 1922 Study by Kraemer! Find the answer in the video chess podcast hosted by Chess Queen™ Alexandra Kosteniuk. 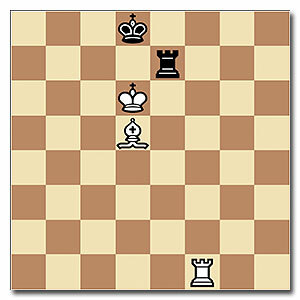 Mate in 3 chess problem by Galitsky. White to play and win, but how? Remember not to stalemate Black. 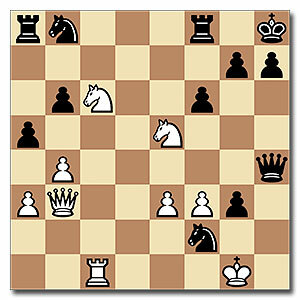 This nice puzzle is brought to you from our #1 database of chess puzzles and video podcasts. It’s all about having fun and learning chess to play killer games. Check your solution with the video podcast below hosted by 12th Women’s World Chess Champion Chess Queen™ Alexandra Kosteniuk. 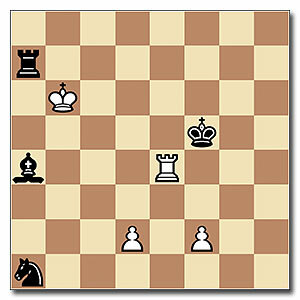 Here is an interesting chess position from the game Jakob Rosanes vs. Adolf Anderssen, 1863. Black plays and wins. This special chess puzzle podcast is brought to you by www.chesskillertips.com where Chess Queen™ Alexandra Kosteniuk – the 12th Women’s World Chess Champion – teaches chess for free 24×7. 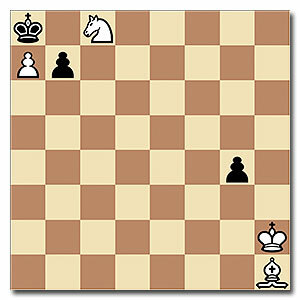 A quick look at a middle game chess puzzle from the #1 chess puzzle podcast database www.chesskillertips.com. 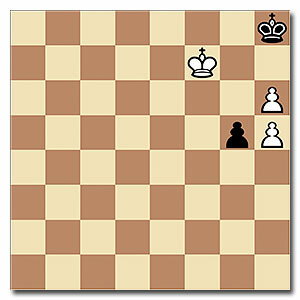 This Intermediate-level middle game position is from the game Klinger – Blatny, 1988. White plays and wins. Hear the full explanation of the puzzle from a World Chess Champion – Chess Queen™ Alexandra Kosteniuk. 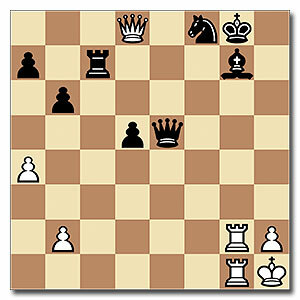 Here is an easy chess puzzle by Carlo de Grandi for a happy and chess-full weekend. White plays and checkmates in 3 moves. The answer is quite beautiful. You will enjoy solving it. You can check the answer with the Chess Killer Tips podcast hosted by 12th Women’s World Chess Champion Chess Queen™ Alexandra Kosteniuk. Vladimir Kramnik has just taken the No. 2 position from Levon Aronian in the chess ratings list according to Fide stats released on January 1, 2013. 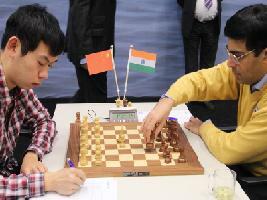 You can read a full report on Chess Blog. 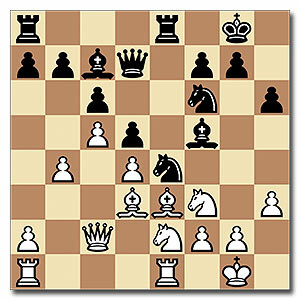 Here is a nice puzzle with a typical Kramnik flavor from the #1 chess podcast Chess Killer Tips. The show is, of course, hosted by Chess Queen™ Alexandra Kosteniuk – the 12th Women’s World Chess Champion and the subject of a recent Russian scientific documentary about her “Super Brain”. Back to the puzzle position on the left: Level is Intermediate and Kramnik, as Black, plays against Arkady Naiditsch for a win at Dortmund 2009. How does Black win? The Philidor position is one of the key positions in which the stronger side wins in Rook + Bishop vs. Rook. It’s useful to know about it in case you get that endgame in your tournament practice. 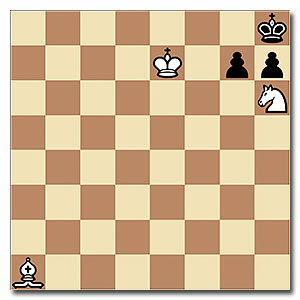 Can you solve the position on the left for a win for White? For the solution, you can replay the www.chesskillertips.com video podcast hosted by 12th Women’s World Chess Champion Alexandra Kosteniuk. Difficult Chess Study: Learn Exactly How a World Champion Thinks! Want to learn how a world chess champion thinks? Here is a tough chess study explained in detail by Chess Queen™ Alexandra Kosteniuk. The 12th World Chess Champion explains her entire thinking process to help you learn how a top Grandmaster solves a difficult chess position. How can White play and draw the position on the left? Beautiful Chess Study Troitsky, 1924 <–Difficult so take your time! A very beautiful 1924 chess study by Troitsky. In the position, do you know how White should play even though Black has an extra Bishop. 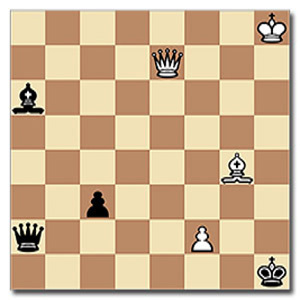 Find the winning strategy for White and learn how to solve this study with our super #1 chess-learning videos from www.chesskillertips.com. Difficult Chess Study by Kubbel, 1925: Try it! Chess King showcase returns with a super difficult chess study dating back to 1925 from the #1 podcast www.chesskillertips.com.